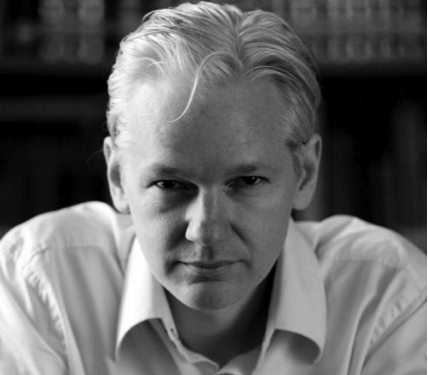 Julian Assange presented a Special Keynote speech at the 19th International Symposium on Electronic Art (ISEA2013), presented by the Australian Network for Art and Technology (ANAT) at the University of Sydney on Thursday 13 June 2013 at 5.30pm. The Wikileaks founder addressed conference delegates and a small public audience via live video link from the Ecuadorian Embassy in London. Julian Assange has a unique insight into the futility, or otherwise, of resisting the incursion of the digital into every aspect of our lives. In systems under constant and multiple pressures there will always be leaks. Wikileaks exists because of this, embracing the digital, exploiting the ubiquity of digitised information: Resistance is Fertile. Artists creatively investigate the possibilities and push the limits of new technologies, helping us to imaginatively experience and critically reflect on their implications for life in the 21st century. The ISEA2013 program explores the ways art and new technologies are used in the service of power, protest and resistance. Produced by the Digital Media Unit, School of Letters, Art and Media, Faculty of Arts, University of Sydney.